What an impressive bear, the opposite of Ursa Major - not a bear seen in the sky but the universe seen in a bear. Awesome! 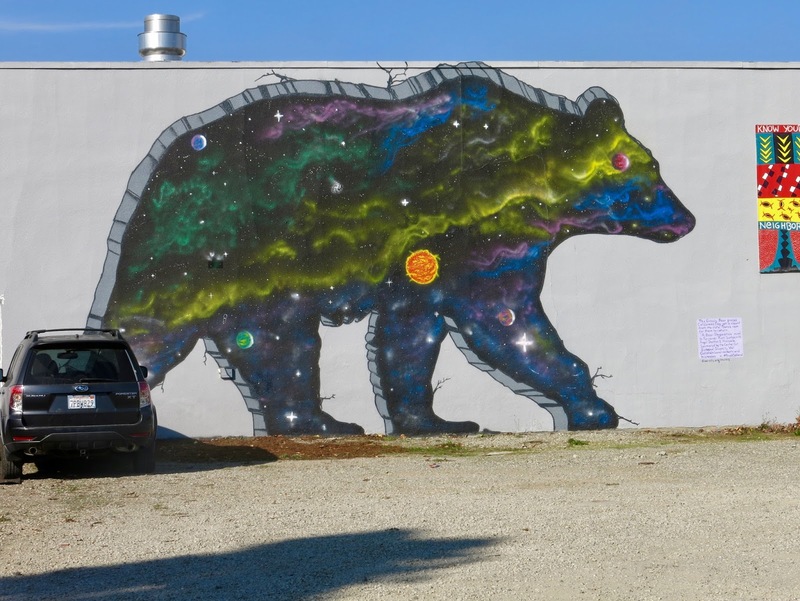 Looks fabulous and I like the sky and stars painted on the bear's body. Hope to be a worthy host, thanks C.
This is a fine mural showing the bear has left. Merry Christmas. I like bears but grizzlies are scary!